Sometimes vegetables can be difficult to incorporate into your diet if you don’t get creative with them. And by that I mean the recipes and technique of how you prepare them. If you are eating broccoli three times a week and it is the same recipe, with the same flavors, you are most likely to get bored of broccoli and stop eating it. I also enjoy finding new ways to cook and prep food so I don’t get burnt out on plain ol’ veggies. I haven’t also been a fan of brussels sprouts but after making them with coconut oil I realized that they actually taste good! Although I don’t eat them as much as I should, as they are loaded with vitamins K and C, I do try to incorporate them into meals. 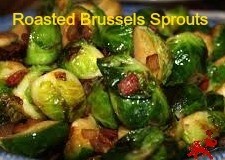 Toss with coconut oil, salt and pepper until all brussels sprouts are evenly coated. Pour them onto a foil lined baking sheet sprayed with cooking oil and sprinkle with diced bacon. Bake for about 30 to 40 minutes, flipping roughly every 10 minutes to ensure proper roasting on each side, or until slightly browned on both sides. You can serve these roasted brussels sprouts with your favorite meal or just have them as a snack if you enjoy to savor them solo. If you are following a Paleo diet this year, this is a great side dish to serve with your chicken. 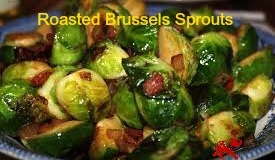 Between the healthy fats from coconut oil, the vitamins in the brussels sprouts and the delicious flavor of bacon this will hopefully been one of your new favorite Paleo dishes! This is also a great recipe if you are not following Paleo because of all the vitamins and the tasty flavors that come together.